The online casino software developer Microgaming has spent the summer months staying busy at what it does best. Recently, Microgaming announced the release of a new online slot title that features a less common theme: wild cats. This online slot is called Exotic Cats and features 243 payways across five reels. The game officially went live at online casinos on August 8th and gives players yet another game to try out in the Microgaming selection. Cats included in the slot are the tiger, lion, panther, leopard, and cougar. 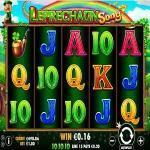 This casino game has the latest graphics and animations that players have come to expect from the developer. Aside from the usual features, Exotic Cats will come with something known as vertical wilds. A big cat represents each of the five reels of the online slot. If the player manages to land the same cat as a symbol on that reel, the symbol then expands vertically. The entire reel will become wild and increase the player’s chances of winning a payout. While the special feature may not be a new concept, the way it is presented in this Microgaming title is a breath of fresh air in an otherwise repetitive world of game bonuses. 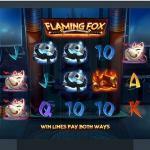 Exotic Cats has free spins triggered by the game’s scatter symbols. The player will unlock free spins based on the number of scatters that start the bonus. It’s a tested and proven special feature in other casino games and makes the player’s real money bets carry more value. The betting system itself allows for a very small minimum wager, but the came carries a top payout of 106,000 credits. The flexible bet options make Exotic Cats a good choice for new players or any player with considerable experience at online slots. Many online casinos will also offer the game for free as a demo. Speaking of Microgaming, the company just celebrated its one-year anniversary at the new headquarters in Isle of Man. The CEO of Microgaming, John Coleman, joined his team in honoring the event by placing… a time capsule in the ground. This metal capsule is vacuum sealed and contains mementos of major highlights at the company. It is planned to have the time capsule recovered and opened 30 years from now. Items are protected from the elements and include photographs as well as articles related to the company. All mementos were decided on collectively by staff members. Microgaming built its new Isle of Man location to address the need for a larger workspace. The company’s success at providing online casinos with software has led to its rapid expansion. In fact, Microgaming has brought on dozens of new employees since the new location was built. At the present time, the staff of the company numbers over 300 individuals. Officially known as Sixty Two, the building opened its door back in July of 2017. With new countries adopting a regulated model for online casino gaming, Microgaming is bound to start popping up in more markets. The celebrations may continue.